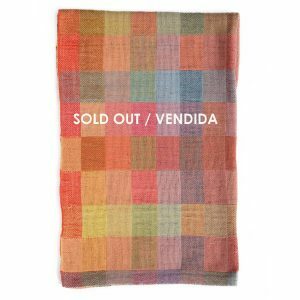 Our handwoven Pixel" blankets are one-off designs and feature the colour palettes comprising at least 24 natural dyes, extracted from roots, flowers, barks etc., at the studio. Our EcoPixel blankets are totally natural, making a very special gift for new baby (although toddlers aged 2 will also love the larger version as a travel/nap/comfort blanket). Please note that blankets feature irregularities in weave, colour and shape due to the handwoven and hand-stitched nature of the textile. Size: 85cm x 90cm. Scross down for care information and more images. 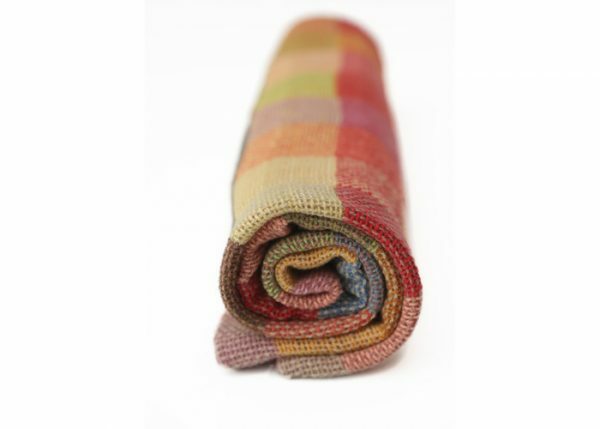 Our EcoPixel baby blankets mean baby is literally wrapped up in a soft work of art. 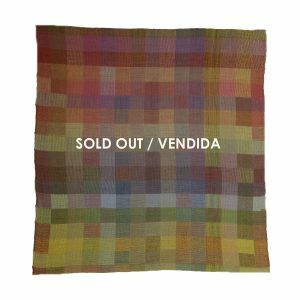 Each blanket has a unique colourway but the overall design is inspired by our fascination with digital art, Bauhaus textiles and colour theory. 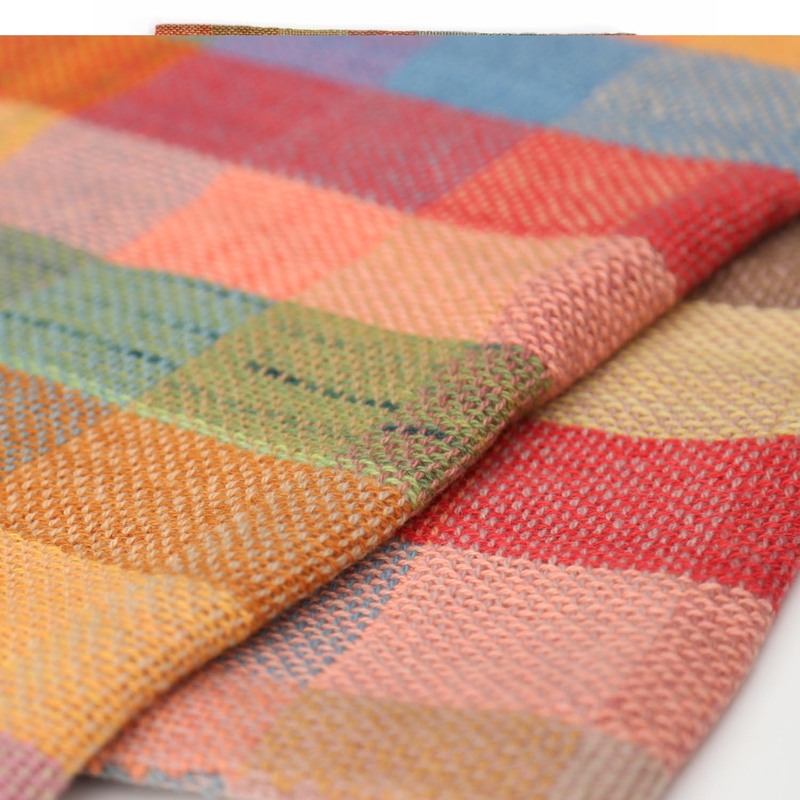 Each blanket is individually hand-woven by expert hands on our looms. We use a special technique to weave the blankets in two layers which mean the blankets are soft, flexible and thicker than a standard single-layer textile. All yarns have been individually hand-dyed by us, reflecting our passion to use local, sustainably harvested and cultivated dyeplants. 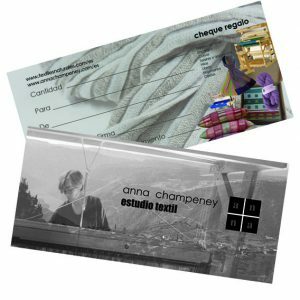 We finish each blanket with hand-stitching and are confident in thinking that you won´t find blankets like ours anywhere else or that have been made with as much love and care! More information below. Note. Colours may vary slightly from images. Washing Instructions: Dry clean or gentle handwash. Do not spin, wring or tumble-dry. Towel-dry by wrapping it in a cotton towel and squeezing gently. Dry flat. A light iron when slightly damp gives best results but is not essential. If an incorrect wash or spin cycle is used the blanket may shrink or felt so if in doubt hand-wash using tepid water.